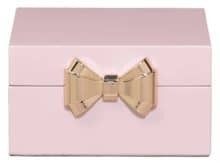 Have the best looking water bottle in town with this pale pink Ted Baker water bottle. 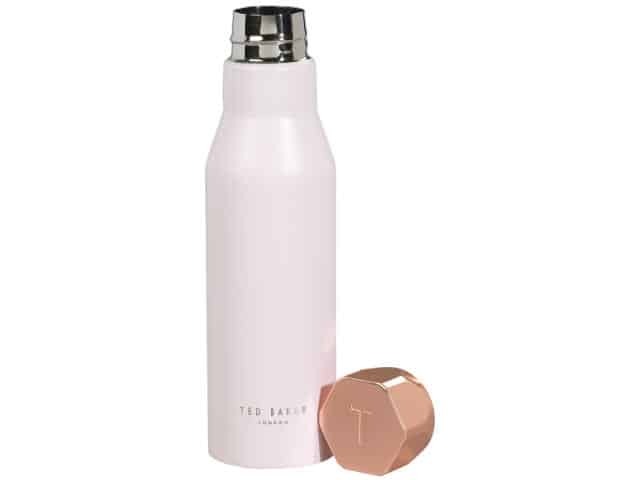 Coated stainless steel water bottle in pink quartz with Ted Baker laser-etched logo. 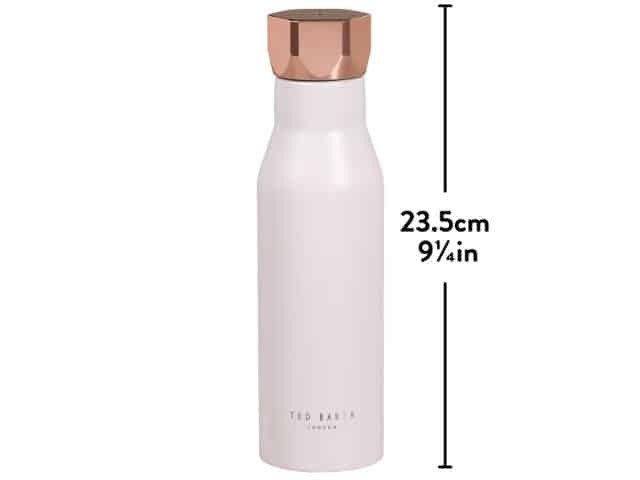 The double-insulated Ted Baker water bottle features a hexagonal rose gold leak-proof lid and is suitable for both cold and hot drinks.